Eaten by the Aztecs, these tiny seeds are now a health food craze, even though the evidence for health benefits is scant, according to a review in the Journal of Biomedicine and Biotechnology. Coates recommends grinding chia seeds for only a few seconds. An oilseed, chia boasts a high-fat content and if you grind the seeds too long it turns into chia "butter." Do not wash your chia seeds before grinding. They're hydrophilic, which means these seeds absorb water up to 9 times their weight when soaked. This water-absorbing quality may help chia seeds work as a weight-loss tool since so-called "water-rich foods," those with high water content, keep you full and satisfied longer, making it less likely you'll overeat. A problem you might run into with the coffee grinder method is that your chia seeds will pick up the taste and smell of coffee. Since you can't throw the grinder in the dishwasher, try grinding some rice first to "clean" the grinder. The abundance of good fats in chia seeds makes it 60 calories per tablespoon. If you're counting calories and have begun to sprinkle them on your low-fat yogurt and into smoothies, you might have to eliminate other foods to keep your caloric intake under budget. The clinical evidence on the health benefits of chia seeds is limited, but several studies do exist. A significant reduction in low-density lipoprotein, a.k.a. "bad cholesterol"
Increased levels of high-density lipoprotein, a.k.a. "good cholesterol"
Eating 25 grams of chia seeds per day for 12 weeks did not produce significant weight loss or reduce disease risk. However, the participants' blood levels of omega-3s increased. Drinking a beverage containing chia seeds for two months improved the participants' blood sugar and triglyceride levels. The participants, patients diagnosed with metabolic syndrome, lost weight, too. Two additional trials found consuming chia seeds (method of ingestion was not specified) lowered post-meal glucose and increased omega-3s. 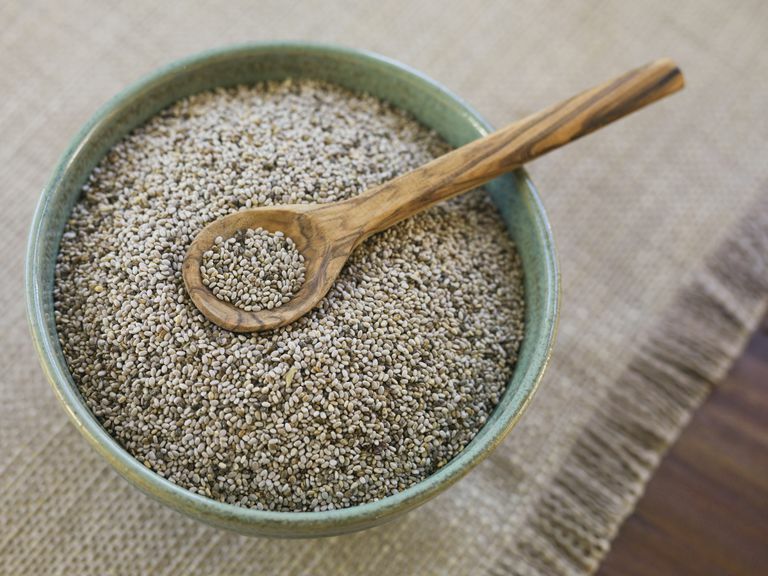 Should You Be Concerned About the Side Effects of Eating Chia Seeds? Should Chia Seeds Be Ground or Left Whole for Health Benefits?